Hi. I’m Jai. I’m 8 years old. This is my story. My doctor says I have an illness. I don’t feel sick. But I do know that grown-ups around me are annoyed with me most of the time. 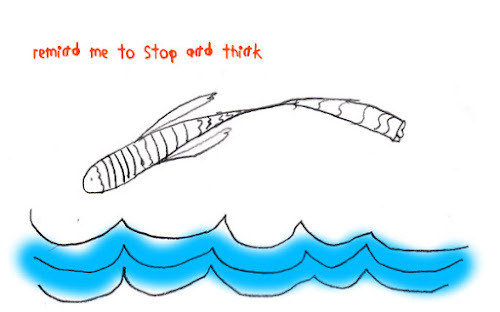 I’m constantly being told, “sit still’’, “stop dreaming”, “pay attention”. I can’t seem to be able to do just that. In class, I seem to lose track of what the teacher says. I try to listen, I really do. I start doing what she says, then I notice the insect fluttering on the window pane, I see the boy in the row ahead tapping his fingers on the desk, the office boy walking down the corridor and the sound of laughter from the next classroom. I don’t realise I have left my seat till teacher tells me “Jai, return to your seat”. My parents are frequently called to school to meet my class teacher. They are unhappy with my marks. They think I’m careless and lazy because I take all evening to do my homework. I tell my mother that I try hard. I feel sad and frustrated that she doesn’t understand or believe me. Some of the other children make fun of me specially when I can’t answer in class. Mostly, I haven’t heard the question. They don’t like to play with me as I get excited and can’t wait for my turn. Things changed about 6 months back. My parents took me to a special doctor. The doctor seemed to understand that I was not being naughty or disobedient. He talked to me, looked at my exercise books and listened to my parents. He told my parents that I had an illness, ADHD. I needed medicines for treatment of ADHD to improve my focus and concentration. I also need structure and routine in my life. It was such a relief to know it was not my fault. A lady at the doctor’s clinic gave me some puzzles and games to do. I liked her; she spoke slowly and clearly. She explained things one at a time and did not mind repeating herself when I did not get her the first time. She helped us draw up a time-table - we had such fun doing that because she made time for everything I want to do. Now I have a study time, a play time, TV time, all clearly written in the big chart I helped to make. It reminds me of what I have to do and gives me enough time to prepare for it. Mother says I sit quietly for longer periods. Teacher says I pay more attention and don’t disturb other kids in class. She is more patient with me too. Doctor says there are many children like me. Here’s what you can do to help me and others like me. Help me focus. Make sure I’ve heard you and understood what you want me to do. I sometimes don’t realise I’ve left my seat. Please remind me to stop and think. I need structure and routine in my life. I need to know what comes next. Please give me time to adjust to any changes in my schedule. Please let me learn at my own pace, I get confused and make mistakes when you ask me to hurry up. Please give me instructions one step at a time. Make me repeat them. Please give me short work periods and small goals to start with. Please give me immediate feedback; did I do things the right way? Do give me praise even if I succeed only partially. Please don’t wait till I’m perfect. Don’t always find fault with me. Please praise me and reward me when I do something well. Is your ADHD teenager ready for hostel? Does your teenager with ADHD have the life skills to survive in hostel? She did well in her 12th board exams and scored high in the CET. To attend the engineering college of her choice she has to move from home to a hostel in another city. Given her difficulty organising her daily schedule, would she be better off doing the same subjects at the local engineering college? The answer would depend on her personality and the life skills she has acquired. Teenagers with ADHD are of 3 character types: the optimistic, the terrified and the lost. They are placed into these categories depending on their productivity and anxiety (either too much or too little). The optimistic teen does not worry. He is excited about the independence that college life will bring, but may not realise that freedom comes with responsibilities (financial, social and personal). If he's still disorganised at home he will be more so in hostel where the distractions are multiple and there is no guiding hand. The terrified teen is intensely anxious. She needs reassurance and help in planning the future step by step. If she still waits for you to clear her way round a difficulty she will hesitate to seek help when she is in hostel. The lost teen displays a lack of energy and positive view towards life. He is easily depressed and defeated. He has to be repeatedly reminded and encouraged to do what needs to be done. If you still have to push him to get work done he's unlikely to function well from hostel. 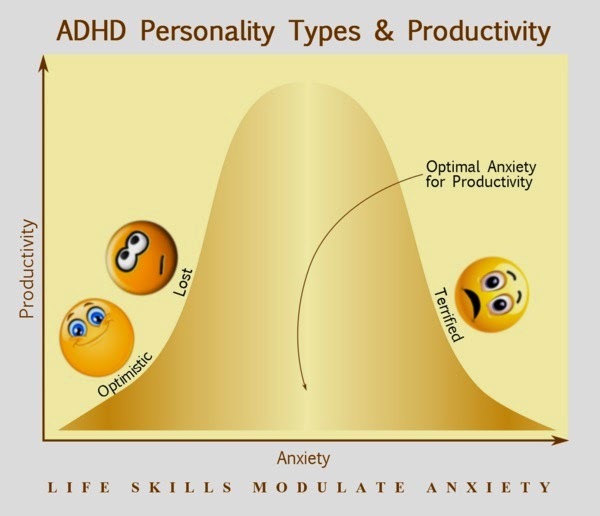 ADHD hinders development of the coping and self-management component of life skills due to inattention and impulsivity. Adolescents with ADHD need to focus on three aspects of this component for transition to independent living away from home. Motivation is first – there has to be the will to achieve. The ADHD teen needs clear goals and has to evaluate them objectively — are they achievable? Clear short-term, mid-term and long term goals are necessary – persistence is required. If a particular course is not available in the local colleges, can he take the initiative to locate an alumnus from school who is pursuing the same elsewhere? He must make a list of pros and cons – then make a choice – and not procrastinate. Time management is a big challenge for most students with ADHD. They should not take on too much initially. ADD adolescents should concentrate on their classes, keep track of assignments, and organize daily notes. They should use a planner to schedule daily activities. A large calendar on the wall for upcoming assignments, project submissions, and exam dates is a big help. The teenager with ADHD needs to get to know her limits, then push them a little at a time to see if more is achievable. She should set some daily routines – get up at the same time everyday, have healthy, regular meals (this is often neglected when staying away from home), and do the laundry. Attendance at classes is non-negotiable (all colleges insist on a minimum attendance). The teenager with ADHD must ensure she takes her medication on time and follow-up regularly for refills. When taking a break she should do something that has a limited time span. For example she could read a few pages of a book, watch TV for 15 minutes, or chat with a friend for 10 min. She must make time for the additional administrative tasks college entails: paying her college fees, creating and sticking to a budget, making time to go to the ATM. These tasks should be entered in the weekly planner. Self-understanding and awareness of strengths and challenges is the key to making intelligent choices. The ADHD adolescent should not hesitate to seek help, from teachers, friends and the counsellor specially if falling back in his schedule. Strategies for learning and study skills training with the counsellor are helpful. The ADD teenager, like any other adolescent, is transitioning from dependence on the family to increasing adult independence. The life skills he acquires would dictate the ease of this transition. Teenagers with ADHD who have acquired the necessary life skills would be better able to cope with the transition from home to hostel without adversely affecting academic performance. ADDitude. The Real Whirled: 8 Essential Life Skills for ADHD Teens. Accessed 25-Nov-14. A high-protein, low-sugar ADHD diet can help improve ADHD symptoms in children. Parents of children with ADHD are overwhelmed with dietary advice that is often time-consuming and disruptive to the household. However, this need not be so. 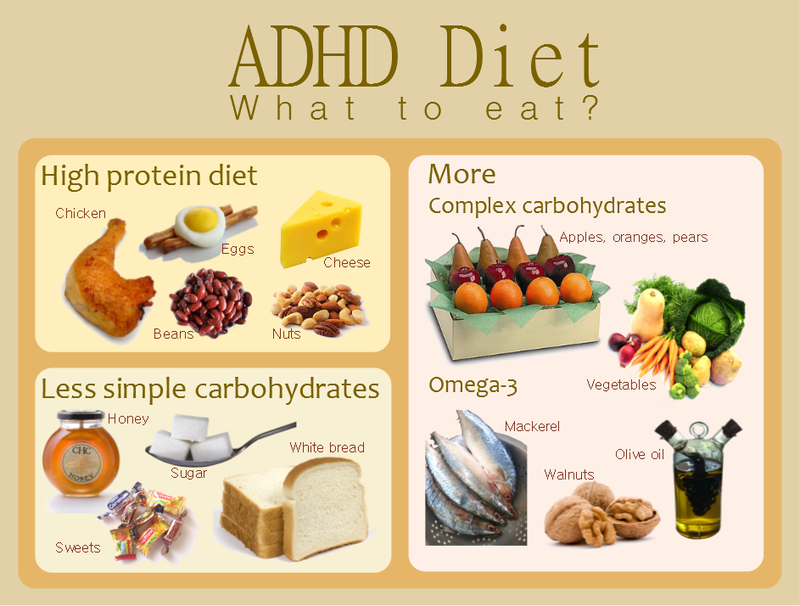 Research shows it is feasible to incorporate an ADHD diet as part of an ongoing ADHD treatment program. Medication with behaviour modification is the backbone of ADHD treatment. A practical diet can be incorporated into the family routine to supplement ADHD treatment. Foods rich in protein - poultry, fish, eggs, beans, nuts, soy, mutton and low-fat dairy products (milk, paneer, cheese) - may have beneficial effects on ADHD symptoms. Protein-rich foods are used by the brain to make neurotransmitters, the chemicals released by brain cells to communicate with each other. Protein can prevent surges in blood sugar, which increase hyperactivity. Giving your child protein for breakfast will help his body produce brain-awakening neurotransmitters. Combining protein with complex carbohydrates that are high in fibre and low in sugar will help your child manage ADHD symptoms better during the day. Eating simple processed carbohydrates, like white bread and jam, is almost the same as feeding your child sugar! Sugar surges are shown to increase inattention in children with ADHD. The body digests these processed carbohydrates into glucose (sugar) so quickly that the effect is virtually the same as eating sugar from a spoon. For children with ADHD symptoms serve breakfasts and lunches high in protein, complex carbohydrates, and fibre — like cereals, dalia, upma with vegetables and nuts, and a glass of milk. Peanut butter on a slice of whole grain bread would also be good. The sugars from these carbohydrates are digested more slowly, because protein, fibre, and fat eaten together result in a more gradual and sustained blood sugar release. The result? A child can concentrate and learn better at school. Additive-free and oligoantigenic or elimination diets are time-consuming, disruptive to the household, and impractical. They have no proven role in ADHD treatment. Iron and zinc are best supplemented in children with known deficiencies. Omega-3 fatty acids supplements may be tried in some children with ADHD. Greater attention to a healthy diet while omitting food that predisposes to ADHD symptoms, is perhaps the most effective and practical ADHD diet. Millichap JG1, Yee MM. http://pediatrics.aappublications.org/content/129/2/330.long The diet factor in attention-deficit/hyperactivity disorder. Pediatrics. 2012 Feb;129(2):330-7. doi: 10.1542/peds.2011-2199. Epub 2012 Jan 9. Wender EH, Solanto MV. http://pediatrics.aappublications.org/cgi/ijlink?linkType=ABST&journalCode=pediatrics&resid=88/5/960 Effects of sugar on aggressive and inattentive behavior in children with attention deficit disorder with hyperactivity and normal children. Pediatrics. 1991;88(5):960–966. ADHD (Attention Deficit Hyperactivity Disorder) is thought to be a childhood disorder. However ADHD persists in adults in up to 50% of children diagnosed with the disorder. Hyperactivity, impulsivity and inattention; the hallmark symptoms of Attention Deficit Disorder in childhood have been described earlier. In Adult ADHD, symptoms change to reflect the child's development into adulthood. The symptoms related to hyperactivity gradually disappear by adulthood; however, those related to inattention persist. Adults with attention deficit disorder (ADD) are often distracted, and avoid tasks requiring sustained mental effort. This impairs functioning at home and at work. Adults with ADHD experience employment impairments at every level; from the initial job search, to the interview and then during the employment itself. People with Attention Deficit Disorder are more likely to be have poor job performance, lower occupational status, less job stability and absenteeism. Men and women with attention deficit disorder earn less money, and are more likely to be unemployed. Hyperactivity and distractability find an outlet in the need to multi-task with multiple apps at a time. Impulsivity manifests as risk taking and an apparent fearlessness. This works for Attention Deficit Hyperactivity Disorder adults at the entry level of the IT industry. The physical, social and cultural environment help overcome functional limitations of adult ADD. However, the lack of focus, disorganisation and procrastination become evident when they are promoted in the organisation. It is at this mid-career stage that the adult with Attention Deficit Disorder seeks our help. Adult ADHD is a treatable medical condition. Medication to correct the underlying neurochemical imbalance is the cornerstone of treatment for ADHD adults. 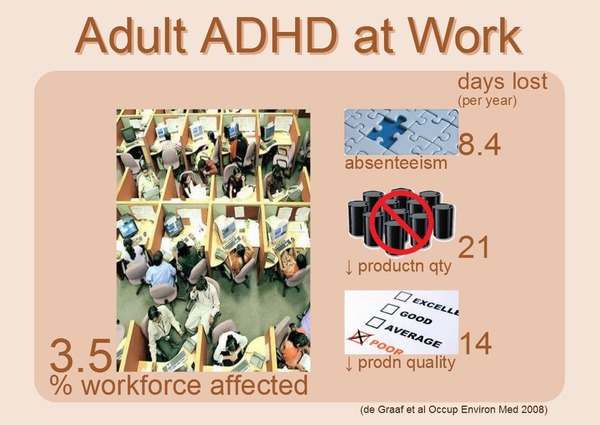 The adverse impact of adult ADHD is experienced by the employee and the organisation. At the organisational level, workplace adjustments can provide a safe nidus for the ADHD adult to function effectively. At the individual level treatment can help reduce the associated emotional problems and absenteeism of adult ADHD. Biederman J, Mick E, Faraone SV. Age-dependent decline of symptoms of attention deficit hyperactivity disorder: impact of remission definition and symptom type. Am J Psychiatry. 2000 May;157(5):816-8.
de Graaf R, et al: The prevalence and effects of Adult Attention-Deficit/hyperactivity Disorder (ADHD) on the performance of workers: results from the WHO World Mental Health Survey Initiative. Occup Environ Med. 2008. Schultz S, Schkade JK. Occupational adaptation: toward a holistic approach for contemporary practice, Part 2. Am J Occup Ther. 1992 Oct;46(10):917-25. ADHD medication enhances academic performance when started early. ADHD drug treatment improves reading ability in children with Attention Deficit Hyperactivity Disorder (ADHD) and Dyslexia. New research shows that drug treatment of ADHD also improves maths ability especially when started early - at least by the 4th standard. Children starting treatment a year or two later show progressively greater declines in academic performance. ADHD is characterised by inattention and hyperactive-impulsive behaviour. Parents who bring their children to the clinic are focused only on issues arising from the child's hyperactivity. Impairments due to inattention are not immediately apparent in the pre-school years. Depending on the severity of ADHD, inattention is unmasked when the child enters academic life in primary school or during the transitions to middle school, high school, and college. At each of these stages an increasing demand is placed on the cognitive faculty of attention which the child's brain is not capable of meeting. Children with ADHD fail to absorb formative academic concepts in primary school. However, rote learning or tutoring by the parents helps the child clear these initial stages. It is only later when the cognitive load exceeds the child's capacity to concentrate that academic problems become manifest. 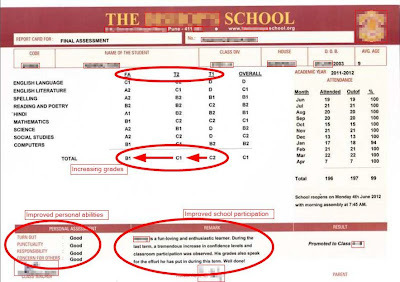 By this time the child's academic progress has already taken a downward trajectory. Reversing this trend and repairing the negative impact on the child's self-esteem entails considerably more effort, time and sustenance at these later stages. The earlier treatment for ADHD is initiated, the better. Inattention in ADHD is due to altered brain proteins. These are involved in modulation of the neurochemical - dopamine. This results in reduced dopamine in the synapse (fluid filled space that transmits information from one brain cell to another). Altered dopamine modulation in the frontal lobe of the brain makes the child impulsive and distractible. ADHD medications act on dopamine and noradrenaline receptors to keep each dopamine molecule longer in the synaptic cleft. Dopamine is then available to stimulate the receptors for longer. Parental concerns regarding side-effects of ADHD drug treatment on the developing child are largely unfounded. 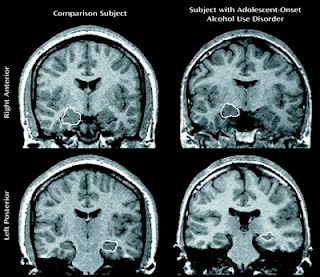 There is now evidence that shows long-term treatment with therapeutic doses of ADHD medication does not affect the developing brain or other standard measures of growth. ADHD drug treatment also does not increase the risk for addiction. As with any other medication side effects can arise at the start of treatment. Adherence to the review schedule will help monitor and mitigate these. All medication is prescribed after carefully weighing the risks and benefits. In the case of ADHD the risks are poor academic functioning and subsequent narrowing of career options at best, to dropping out or expulsion from school and subsequent delinquency at the worst. 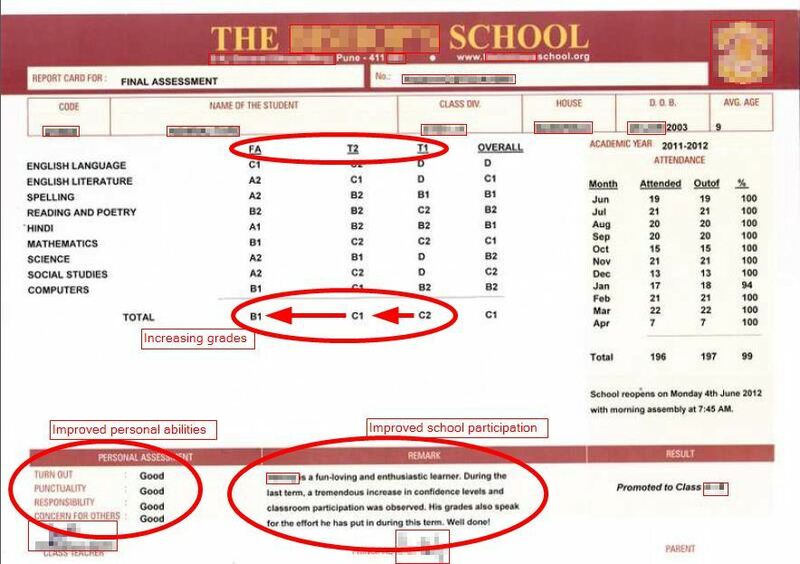 The benefits of treatment are highlighted in the report card shown above. Drug treatment of ADHD enhances academic performance and learning by reducing the inattention and hyperactivity of ADHD. The child with ADHD has attentional and impulse control issues. Inattention and hyperactivity interfere with classroom learning. The earlier ADHD treatment is started the better the outcome in terms of academic achievement. Many children have experienced these benefits. Penny Corkum, Melissa McGonnell and Russell Schachar. Factors affecting academic achievement in children with ADHD. Journal of Applied Research on Learning. Vol. 3, Article 9, 2010.